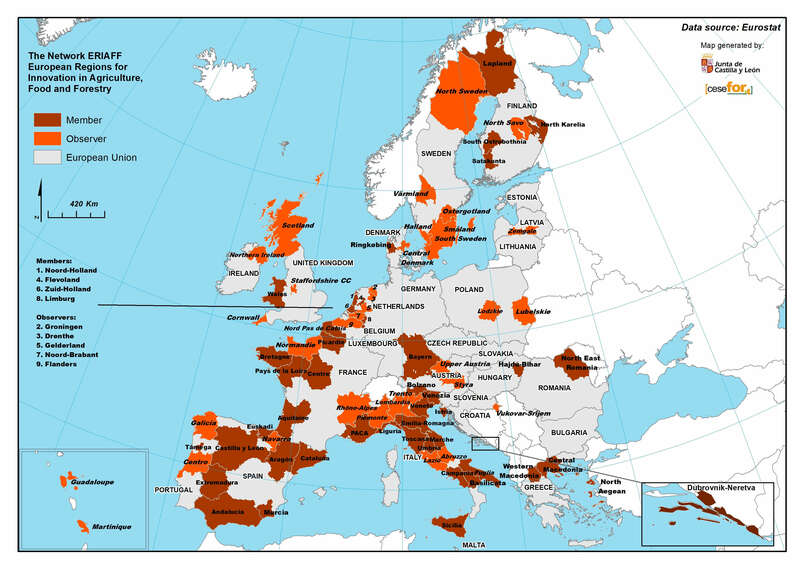 ERIAFF members are facilitators of information flow and links between stakeholders across their territories as well as across the European Union. They work together on identifying the needs and the priorities of innovation, as well as sharing the best practices and respective programmes and projects, in order to ease synergies between actors of the territory and improve the participation in projects and European initiatives. Regions that ask for entering the ERIAFF mailing list without sending an adhesion letter.